Take one look at Adventure-Inspired and it’ll be obvious I love playing outside. But it took me a little while to discover my passion for the outdoors after having spent nearly half my young adult life as a competitive swimmer. Since my last real race five years ago, I’ve been trying as many things as I can that satisfy my appetite for intense physical and mental activities. Instead of focusing on one activity, I want to be physically fit and prepared for anything and everything. 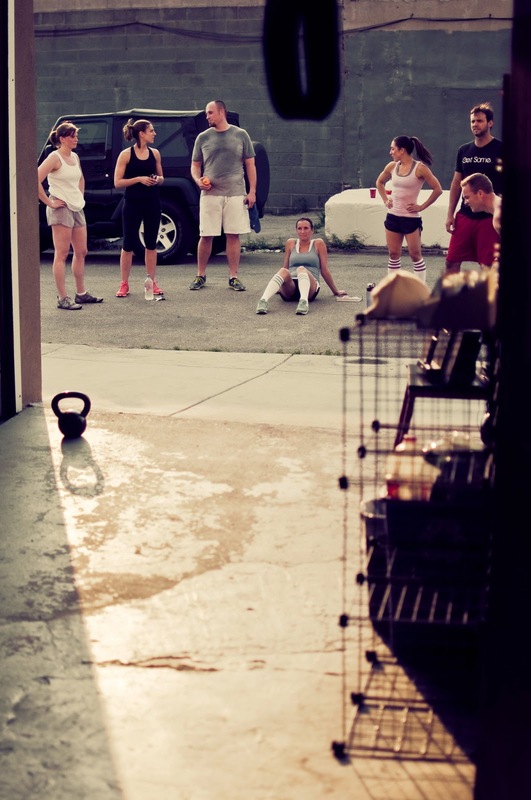 Enter the marvel that is CrossFit. In the simplest terms possible, CrossFit is a strength and conditioning program that is meant to prepare athletes for anything and everything. (Perfect, right?) It’s historically been used by military organizations, police and fire departments, and now thousands of sport-specific gyms worldwide. Athletes run, jump, row, climb, move heavy loads over long distances, and use both Olympic and powerlifting techniques among other things. CrossFit workouts typically include a dynamic warm-up, a skill development or lifting exercise, and a high intensity 10-20 minute workout. Initially, I was skeptical based on what I’d heard. Could it really be that much better than working out on my own? And did I really want to sign up for what's essentially a group fitness class every day? It took me too long to realize I needed to form my own opinion and try it out myself. 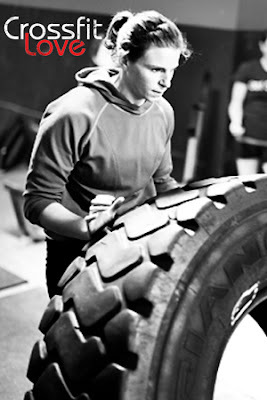 After testing out one gym this winter, I finally found my home this spring – CrossFiit Love – and I’ll never go back to a regular gym. One of my favorite things about rock climbing is the community; climbing seems to attract people who are supportive, motivated, and who share a certain drive. It can be competitive, but generally, climbers work hard and back each other up. Surprisingly, I found a similar feeling at CrossFit Love, and in the CrossFit community as a whole. It’s not a cult; it’s a group of passionate, athletic, motivated, supportive people who’ve made a lifestyle out of being the best, strongest versions of themselves. I’m consistently impressed by how hard everyone works, how much time and effort our coaches put into the gym, and how much fun pushing past my preconceived limits can be. I feel comfortable sweating my brains out, a feeling I lacked at my regular gym where there was a significant absence of women lifting hard. It feels amazing. I started out going to CrossFit Love twice a week and found myself uttering “Holy sh*t, I’m sore!” under my breath on a daily basis. Despite the pain, I was addicted immediately. I love how dynamic the workouts are, even those I have a really tough time with. (I can deadlift until the cows come home, but running fast is really hard for me. Ask me to run a 5k and I might never speak to you again...for now.) Initially, my body required at least two days between workouts to recover. That schedule also meant I could fit indoor rock climbing sessions and weekend trips in, both of which were incredibly important. Finding a CrossFit gym with coaches that emphasize proper form and safety was also incredibly important to me. It’s the kind of thing you can certainly get hurt doing without the right training. The workouts are designed to be scalable, which means you don't have to be in superhuman shape to start. Everything can be modified. My coach constantly monitors form and focuses on skill development to make sure we all complete workouts efficiently and with the proper form. Now, I’m up to three or four days a week along with climbing and hiking on weekends and days off. It’s a perfect balance and I love how strong I feel. If you’re looking to start CrossFit , the best advice I’ve got is to just go for it! It can be intimidating, but the workouts are designed to be scalable. Find a gym that teaches skills and a gym you feel comfortable in. Joe emphasizes the importance of leaving your ego at the door and coming in with an open mind. For most of us, it’s different from what we’re used to and it will be challenging, but it’s also incredibly rewarding. Have you tried CrossFit? Do you have an exercise routine you use to keep in shape for a variety of activities? I’d love to hear it! Post your thoughts in the comments. I'll never forget the first time I met you - it was at the CrossFit Love Strong (Wo)man competition and you ROCKED it. I'm glad to see you're still involved and liking CrossFit. It really can be life-changing. Thanks Jess! I remember that too, and it's definitely not the same without you and Ryan around! It's been a blast so far :) Can't wait to see what your garage gym ends up looking like! Agree on all counts! I found the same tight knit community at my local Crossfit gym. I was pleasantly surprised. I'll be going back frequently in the winter when climbing season dwindles...although I may not be able to wait until then. I'm addicted, partly because it was so hard. I hate being bad at things..haha. That last line = nail -> head! I hate being bad at things too, and am determined to get better at the pieces of workouts I fall behind in. Looking forward to hearing more about how it goes for you!